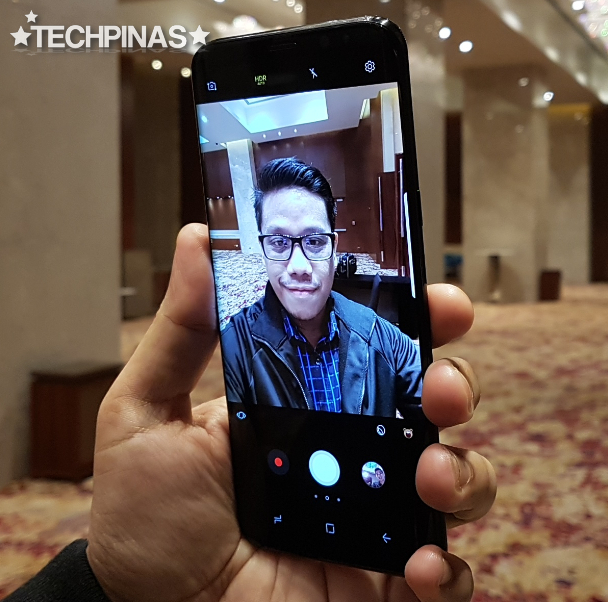 Just like in 2015 and 2016, Korean Giant Samsung again launched two new H1 flagship Android smartphones at the same time to go head-to-head with the top-of-line releases by its competitors this year. Unlike in previous years, however, the company didn't add the suffix 'Edge' on the second, larger 2017 model. Instead, they used 'Plus' -- obviously, to reflect the downright massive screen size increase that users can enjoy on the variant. 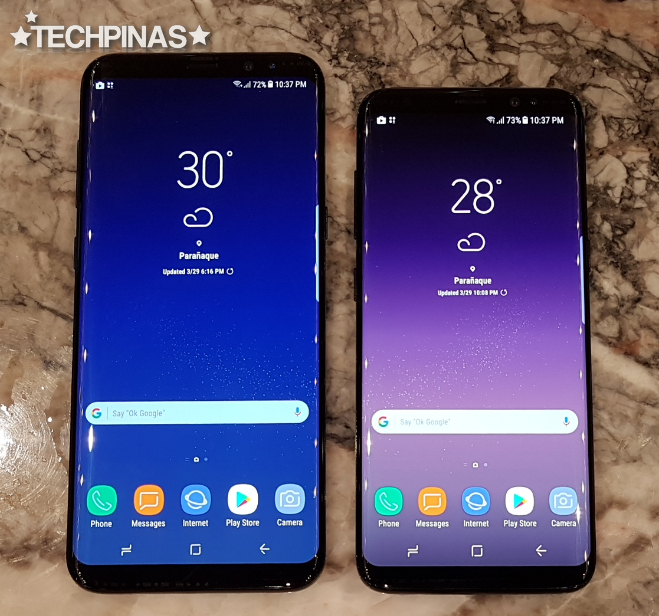 I mean, look, the 6.2-inch Samsung Galaxy S8+ almost dwarfs the 5.8-inch Samsung Galaxy S8 -- and that's saying a lot because the latter is no push over when it comes to screen size as well. Side Note: As I've shared on Facebook, Samsung will no longer have Edge high-end smartphone variants because the Edge display has become the default in flagship. Apart from the difference in display real estate, though, the two models are practically the same. You get the same absolutely beautiful, incredibly sleek glass-metal-glass sandwich design identity and IP68 Certified Water and Dust Resistant build. Likewise, you get the same implementation of the stunning Infinity Display that greatly diminishes the bezels framing the SuperAMOLED panel to near minimum -- thanks to the new 1440 x 2960 pixels resolution that makes the display taller and larger but not wider compared to previous screens of this size. 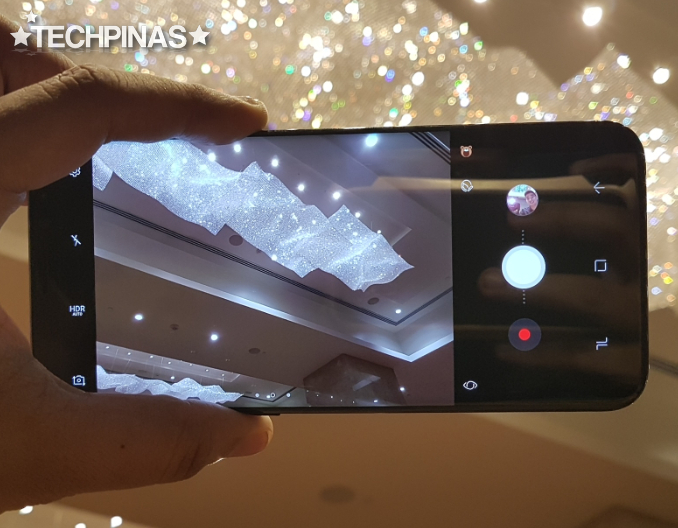 This stunning display rendition also allowed this high-end phablet to be even smaller than other handsets in the market with just 5.5 or 5.7-inch screens. 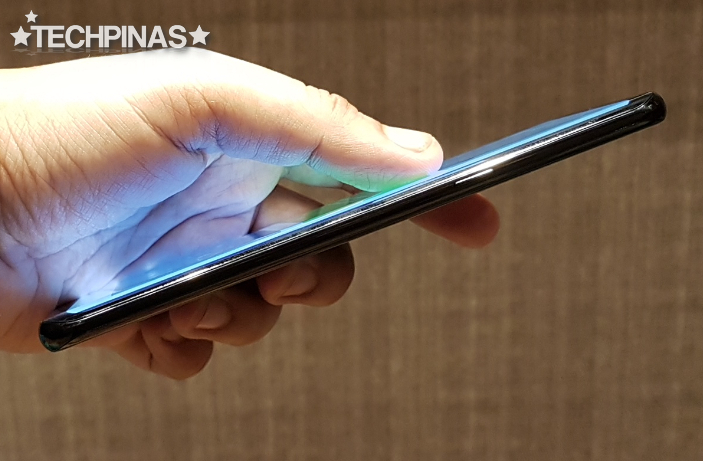 I'd bet that you'll also marvel at the new pressure-sensitive patch below the screen that sends haptic feedback when you click on the virtual home button. That's right; Samsung Galaxy S8 and S8 Plus are the first flagship models from the Korean Giant not to have a physical home button in front, which is another factor that made the Infinity Display possible. 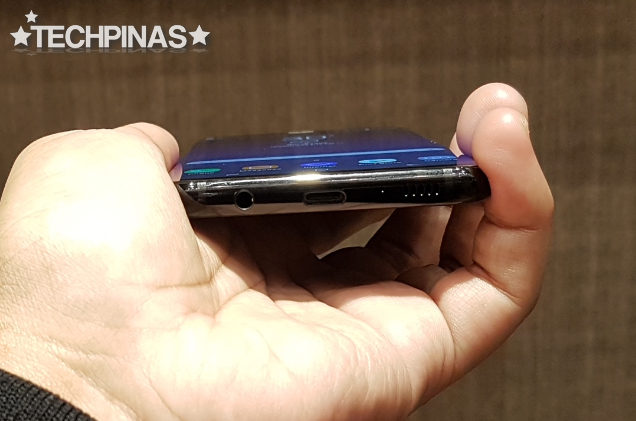 If you're wondering, the Fingerprint Scanner had been relocated at the back, just beside the camera module; Not sure if it's a better position but it's nice that it's still there. Speaking of the camera, both SGS8 and SGS8+ have a 12 MegaPixel Dual Pixel f/1.7 OIS shooter at the back that can also record 4K 60fps videos. 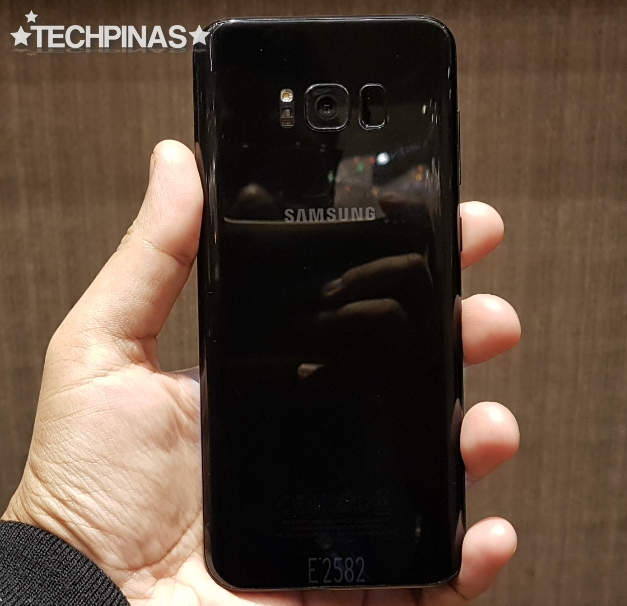 Frankly, it's largely the same as what's on the Samsung Galaxy S7 and S7 Edge, which should make those two older phones almost as good as the new ones in terms of hardware alone -- I believe. I'd love to do a shootout between the Samsung Galaxy S8 Plus and my Samsung Galaxy S7 Edge eventually to prove or disprove this. It is in the front camera where users will notice a big improvement coming from the 2016 releases. The SGS8 and SGS8+ both sport an 8 MegaPixel f/1.7 front cam that can now deliver far more crisp selfies even in low light conditions. In comparison, SGS7 and SGS7Edge only have a 5MP front shooter. 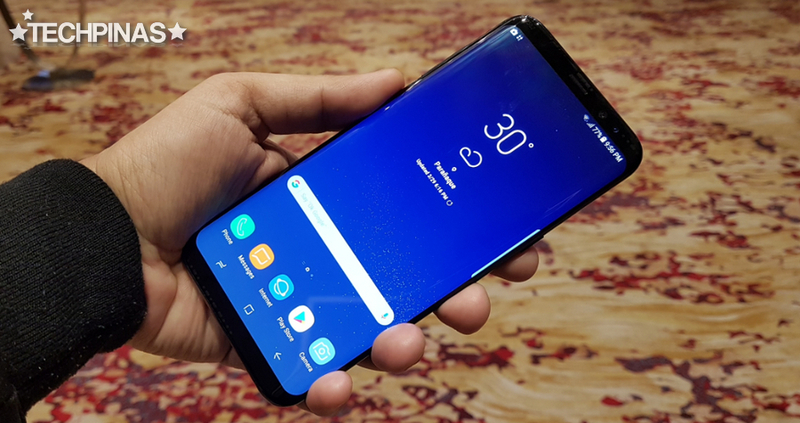 Underneath this near-seamless svelte shell, Samsung Galaxy S8 Plus - again, like the SGS8 - runs its TouchWiz-skinned Android 7.0 Nougat OS with a 64-bit Octa Core 10nm Exynos 8895 processor which incorporates a scalable Mali-G71 GPU making the handset a real beast when it comes to 3D gaming. This top-notch processor is complemented by 4GB of RAM for multitasking (an odd choice given that a number of flagship offerings by other brands - even from 2016 - already have 6GB of RAM) and 64GB of internal storage that you can easily beef up using the microSD card slot that shares its space with hybrid secondary nanoSIM card slot. 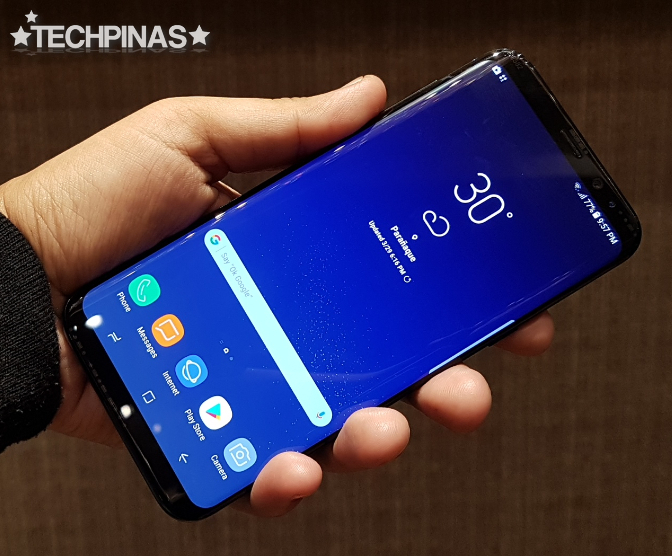 Powered by a non-removable 3,500 mAh battery pack that's frankly could have been bigger given the size of the display, Samsung Galaxy S8 Plus is ideal for demanding high-end consumers who want their daily driver to be gorgeous, powerful, and to have a massive display for enjoying content all at the same time. For those who are interested, the Samsung Galaxy S8 Plus will be available in key markets around the world starting on April 21, 2017. 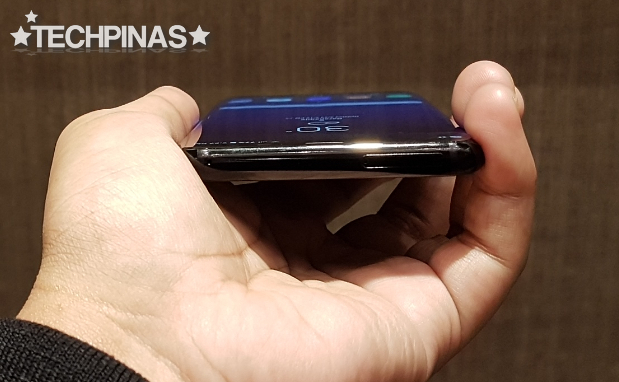 Since the first Galaxy S release, the Philippines has always been prioritized by Samsung when it comes to the availability of its smartphones so I'm expecting this model to be launched here on that same date. 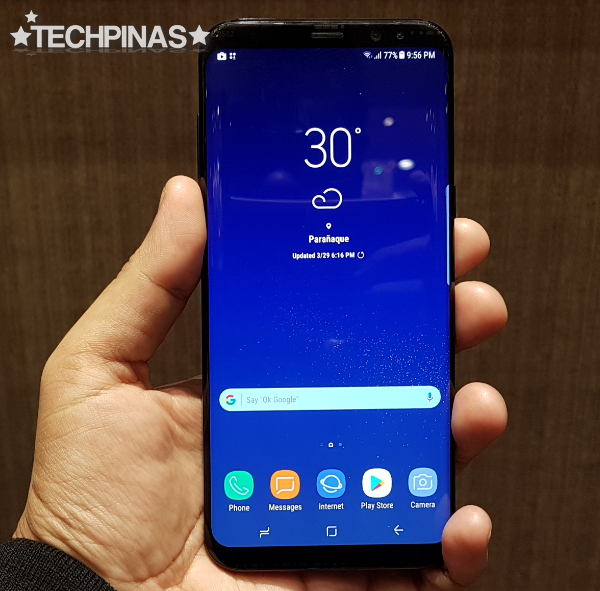 As for the price, the SGS8+ will go for Php 45,990; Making it the most expensive S-Series model to date. The handset will be out in a number of gorgeous hues, including Maple Gold, Midnight Black, Arctic Silver, Coral Blue, and Arctic Silver.